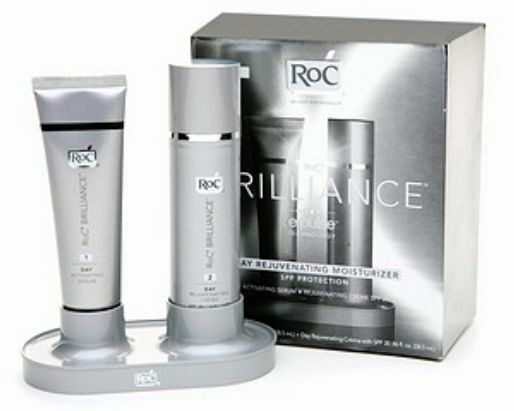 Based on its new Cytomimic Technology, Johnson & Johnson launches the new Roc Brilliance range in the US. It is anhydrous silicone base : liquid silicone oils (Cyclopentasiloxane, Dimethicone, Trisiloxane) mixed with a silicone crosspolymer, a Shin-Etsu’s KSG-16 type (Divinyldimethicone/Dimethicone Crosspolymer (and) Dimethicone), which acts as a thickener, but also improves the sensoriality of the formula. The viscosity and stability of the formula is reinforced by a silica powder. As an anhydrous formula, it do not contain any preservative agent. This formulas contains a Vitamine E derivative (Tocopheryl Acetate) and two metal powders blended in the anhydrous base : Zinc and Copper powders. According to the description we have made of JnJ’s Cytomimic technology, this first step is the core of this innovation : the mix between this anhydrous Step 1 and the following Step 2 will allow to generate a micro-current on skin through a galvanic reaction. Oil/Water Emulsion, emulsified with Croda’s Brij 72 (Steareth-2 – HLB 4.9) / Brij 721 (Steareth-21 – HLB 15.5) and Croda’s Arlatone 2121 (Sucrose Stearate (and) Sorbitan Stearate – HLB 6) surfactants, helped by Behenyl Alcohol as co-surfactant and texturing agent. Brij surfactants are presented as stable with high levels of electrolytes. The formula is stabilized and thickened by polymers : Seppic’s Simugel FL or INS 100 (Hydroxyethyl Acrylate/Sodium Acryloyldimethyl Taurate Copolymer (and) Isohexadecane (and) Polysorbate 60) / Lubrizol’s Carbopol 1382 type (Acrylate/C10-30 Alkyl Acrylate Crosspolymer) being stable with high levels of electrolytes / Xanthan Gum. The water phase contains another polymer designed to boost SPF : Rhom & Haas’ Sunsphere LCG (Styrene/Acrylates Copolymer). The oil phase is made of light oils – Cyclopentasiloxane (volatile silicone) and Cognis’ Cetiol CC (Dicaprylyl Carbonate) -, nourishing oil – Squalane – and butter – Shea Butter (Butyrospermum Parkii (Shea) Butter), and a silicone crosspolymer – Dimethicone Crosspolymer – which gives a smoothy and velvety feel on skin. To improve the finish of the formula, and reduce any greasy or tacky feel, the formula contains a powder : Methyl Methacrylate Crosspolymer. And finally, the formula contains pearls (Titanium Dioxide (and) Mica). – Botanical extract of Restharrow (Ononis Spinosa Root Extract), known for its anti-microbial activity, its anti-seborrhoeic and soothing properties, and used traditionnally to treat skin diseases. According to this patent by Silab, the root extract of Ononis Spinosa has a pigmenting activity. 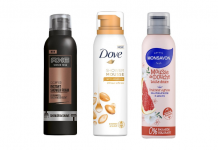 Johnson & Johnson already uses this botanical extract for its pigmenting activity under the trade name “Tanimel” in its suncare range Piz Buin. The formula is protected against microorganisms by Phenoxyethanol, Methylparaben, Ethylparaben and Propylparaben as preservative agents, helped by Caprylyl Glycol as co-preservative. The formula contains two sequestrants : Tetrahydroxypropyl Ethylenediamine (quite high in the full ingredient labelling) and Disodium EDTA, necessary to protect the formula against the destabilizing effects of metal ions (Zinc Gluconate, Copper Gluconate and Magnesium Aspartate) present in the composition. Identical composition to the Step 1 of the Day Rejuvenating Moisturizer SPF 20, see comments above. Oil/Water emulsion, emulsified with Gattefosse’s Emulium Delta (Cetyl Alcohol (and) Glyceryl Stearate (and) PEG-75 Stearate (and) Ceteth-20 (and) Steareth-20), stabilized and thickened with Seppic’s Sepigel 305 (Polyacrylamide (and) C13-14 Isoparaffin (and) Laureth-7) and Clariant’s Aristoflex AVC (Ammonium Acryloyldimethyltaurate/VP Copolymer). The oil phase is made of silicone oils – Dimethicone, Cyclohexasiloxane, Cyclopentasiloxane – , fatty esters – Pentaerythrityl Tetraethylhexanoate, Stearyl Heptanoate, Stearyl Caprylate, PPG-2 Myristyl Ether Propionate – , Shea Butter (Butyrospermum Parkii (Shea) Butter), and Squalane. The formula also contains a powder – Akzo Nobel’s Dry Flo (Aluminum Starch Octenylsuccinate) – and a pearl (Mica (and) Titanium Dioxide). The formula is protected against microorganisms by Phenoxyethanol, Methylparaben, Ethylparaben and Propylparaben. It contains at the third position of the ingredient full labelling a sesquestrant, the Tetrahydroxypropyl Ethylenediamine. As mentionned above, it seems to be used to protect the formula against the potential destabilization that could cause the metallic ions present in the formula (Magnesium Aspartate, Zinc Gluconate, Copper Gluconate). Oil / Water emulsion, emulsified with Gattefosse’s Emulium Delta (Cetyl Alcohol (and) Glyceryl Stearate (and) PEG-75 Stearate (and) Ceteth-20 (and) Steareth-20), stabilized and thickened with Akzo Nobel’s Structure XL (Hydroxypropyl Starch Phosphate) / Sclerotium Gum (like Ciba’s Tinoderm SG) / Cognis’ Cosmedia SP (Sodium Polyacrylate) / ISP’s Lubrajel NP (Glycerin (and) Glyceryl Acrylate/Acrylic Acid Copolymer). The aqueous phase contains glycols – Glycerin, PEG-8. The oily phase contains a volatil silicone oil (Cyclopentasiloxane) and fatty esters (Isononyl Isononanoate, Stearyl Heptanoate, Stearyl Caprylate). 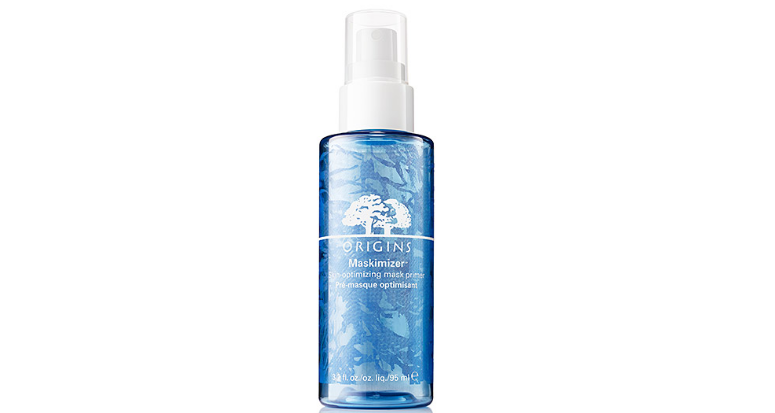 Two powders are used in this formula to enhance its penetration and finish on skin : Silica and Nylon-12. A pearl (Mica (and) Titanium Dioxyde) is also present in the formula, for aesthetic effect in the product and on the skin. – Citric Acid, an AHA known for its keratolytic properties. However, Citric Acid could be used here simply as a pH adjuster. – an extract of Wheat Germ, more precisely an extract obtained by the hydrolysis of wheat germ (Hydrolyzed Wheat Protein). It is hard to identify the commercial product, due to the numerous raw materials available with this INCI name. The hydrolysates of wheat germs are usually sold claiming moisturizing, restructurating, conditioning properties. 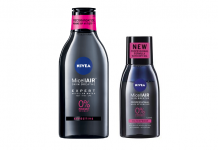 The formula is protected agains microorganism by Methylparaben, Ethylparaben and Propylparaben as preservative agents, helped by the following co-preservatives : Caprylyl Glycol and Schülke and Mayr’s Sensiva SC50 (Ethylhexylglycerin). It contains a sesquestrant, the Tetrahydroxypropyl Ethylenediamine. As mentionned above, it seems to be used to protect the formula against the potential destabilization that could cause the metallic ions present in the formula (Magnesium Aspartate, Zinc Gluconate, Copper Gluconate). For Roc, JnJ has trademarked its Cytomimic™ technology as the E-PULSE™. 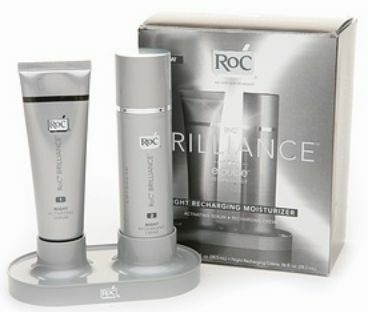 It is presented in Roc’s communication as “a patented micro-current technology inspired by the latest professional procedures”. Actually, the way the technology is presented is quite close to the way JnJ communicated on Cytomimic Technology : even if it could be worrying for consumers to generate electricity on their skin surface, Roc uses the words “electrostimulation” and “micro-current” to describe it. Except for the E-Pulse technology, there is no specific communication made on the other active ingredients added to the Step 2s. 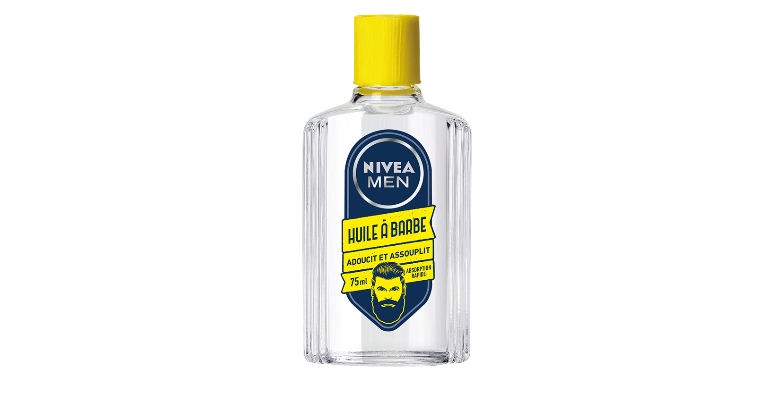 The true novelty of this range is the presence of the Step 1 in the Day, Night and Eye products, based on JnJ’s Cytomimic technology of galvanic generated electricity. More than just carrying the zinc and copper powder on the skin, this anhydrous formula contains silicone crosspolymer : it helps to instantly smooth the appearance of fine lines and wrinkle through soft focus efficacy. The Steps 2s, even if well designed, are quite classical for a brand like Roc. We can notice the constant use in the formulas of the sequestrant Tetrahydroxypropyl Ethylenediamine, and Gattefosse’s Emulium Delta in two of the three Step 2 formulas. Our main concern is the way consumers will welcome this new range : “electrostimulation” seems quite worrying to us, but due to the technology used, there will be no percieved current on the skin. Will the consumer really feel or see something different from any other anti-aging skincare, despite this really new and innovative proposal to the skincare market ? 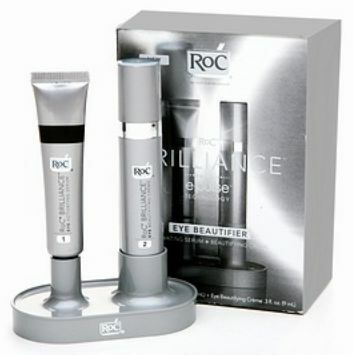 I have only been using the ROC brilliance eye for a week, but I think I see a difference already. I am excited about it. It is hard to switch products at my age, but I was intrigued by the commercial. The walgreens I shopped at gave me a rebate coupon, which was great as it helped me decide to try it. Thanks for your comment. Could you give your opinion after a four-week use ? Will you still see a difference ?